As a mid-size firm in Chicago, we are constantly challenging ourselves to enhance our knowledge and expertise of the Chicagoland area and Midwest region for our more than a dozen regional-focused clients. So when I had a chance to attend the Publicity Club of Chicago’s luncheon on “Solving the Suburban Media Market,” I jumped at the opportunity to hear from a panel comprised of four suburban Chicago editors. It’s a fact – reporters are extremely busy! E-mail messages with an attention-grabbing, noteworthy subject line continue to be the preferred method of communication. And, we of course always send news to a specific beat reporter relevant to the topic at hand. For television stories, the advised method was to call or e-mail the main assignment desk, or call the planning editor a week before an event is scheduled. As we know, it’s also a best practice to follow up with the planning editor on the day of the event. As we’ve experienced, reporters are increasingly tapping into social media – Twitter, Facebook, YouTube, etc. – as a first place to begin sourcing for a news story. These sites are mainly used for tips or up-to-the-minute trends and news alerts, but are never used as primary news sources. Since relationship building between reporters and sources is encouraged by newspapers, it was noted that policies are currently being developed to address the debate over whether reporters can “become fans” or “like” sources, products or companies. Right now, every staff member we heard from has policies in place requiring them to acknowledge they work for a paper when contacting a source through social media. Many newspaper reporters still continue to have specific beats, but the sources noted that today’s reporters tend to overlap beats and become generalists that cover several topics. Newspaper operations also are changing to compete with the sense of immediacy required for news. For example, photographers are routinely writing stories and reporters are now carrying cameras, and user-generated content continues to grow with the ability to source video and photography from crowds. As information delivery continues to come from several different outlets 24/7, these editors strongly stressed the priority of local, local, local content. Therefore, our challenge is to always be learning about the interests and viewpoints of even the smallest communities in order to provide their local news source with relevant, timely and interesting information. Working with media at trade shows is ever-evolving, and I have been struck by the evolution of social media at recent shows. Social aspects are quickly outweighing the traditional methods of working with media. 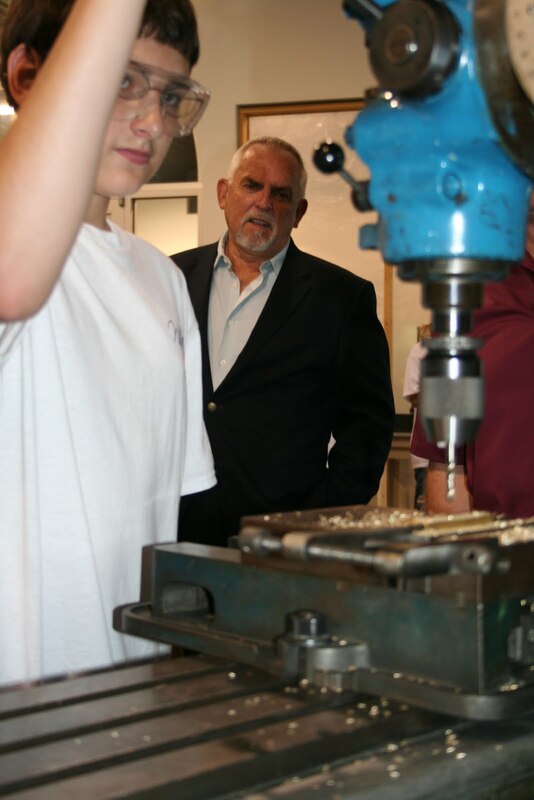 Tweet early… We have had great success using Twitter and Facebook to schedule several media appointments and generate excitement for new products in the weeks leading up to trade shows. The viral nature of Twitter has led us to establish and build relationships with new social media contacts. ...and often. These networks proved useful during the show as well, when they offered a real-time venue for us to communicate with media, hunt down new contacts and encourage them to drop by the booth. Stay on top of trends. Monitoring trade show hashtags can give insight on what is going on elsewhere at the show, providing great insight for our media, trade guests and clients. Expect instant coverage. It is not uncommon for today’s media to tweet your comments on trends during the discussion, or videotape a demonstration of a new product and post it immediately. To accommodate, we are focusing on making products very visually appealing and easily accessible. Old-fashioned follow-up is still essential. Gone are the days of waiting two weeks to see a story hit the press – we now see stories the same day we speak with media. However, diligently following up with both social and traditional media continues to open the door to giveaway opportunities, inclusion in additional stories and the creation of ongoing relationships. As intern coordinator, I love spring and with it the influx of resumes and cover letters from summer intern candidates. Notice that I said “cover letter.” In this fast-paced, digital environment, some may consider the cover letter a relic of a bygone era. Not me. If you know someone who knows us, tell us. Networking is very important and effective. If you know someone we know, tell us first thing. It will get our attention. Be clever and attention-grabbing. About 90 percent of incoming cover letters use that precious first line to tell us that they found our Web site or saw us on Monster. Give thought to your lead, especially when seeking a position in PR. Think outside the box and give us something that will make us perk up and take notice of you. Explain your skills and attributes. There’s no need to reiterate what’s in your resume. Tell us something different that you feel really sets you apart. Consider your audience. We are professionals who operate in a business environment. While informal communications have grown in acceptance, you should be as professional as possible when seeking a position. We still value properly written letters, including the date, greetings and salutations. Choose a format. You can either write your cover letter in the body of the e-mail or attach it. But don’t do both. If attaching, keep the intro e-mail brief so that we can focus on the letter and the resume. Proofread. We have an agency policy that all written work must be proofread by two sets of eyes. Use this same method of checks and balances in your resumes. Do not rely on spell check. We are human, and we make mistakes, but cover letters and resumes are no places for mistakes! As you work on your letter, think about why you really want the job. If you can’t articulate why or think of much to say, you may wish to rethink your application. The best candidates are those who are as motivated to have the job as we are to hire them. Good luck! Looking at my posts during the last month, it’s clear that good things come to LCWA in twos! Two new clients, two clients on the “Today Show,” and now — two award winning campaigns. 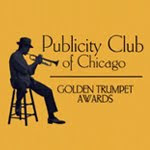 I'm proud to announce that two of our 2009 programs have won prestigious "Golden Trumpet" awards from the Publicity Club of Chicago! The Electrolux team won in the Media Kit category for the creative materials that launched the Versatility vacuum cleaner. Because the vacuum features an easy-to-use removable wand for above-the-floor cleaning, the team created a series of wand-related teaser mailings to pique the interest of media and online influencers. A bottle of bubbles and a magic wand sent to media in the weeks leading up to the launch generated inquiries on the product before the official introduction date, creating buzz and resulting in great coverage. We always appreciate the validation of our peers that comes with winning industry awards, and I’m proud of the hard work put in by these teams. Of course these award-winning campaigns yielded an even more important prize: happy clients!